Apple is allegedly switching up the touch technology in its 6.1-inch LCD iPhone, which may make the phone lighter and more durable but might also result in the sacrifice of 3D Touch, KGI Securities analyst Ming-Chi Kuo claimed this week. The phone is expected to use "cover glass sensor" (CGS) technology in which the touch module is moved out of the display panel to the surface glass, Kuo wrote in a memo quoted by Feng. The design change is said to involve adding a thin-film sensor to the mix, raising parts costs from $23 to $26. Apple will probably remove 3D Touch support on the phone to keep prices down, Kuo argued. 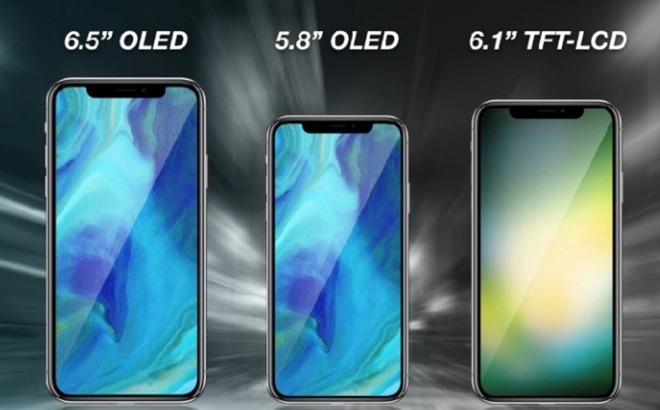 The technology is predicted to remain on this year's two OLED models, sized at 5.8 and 6.5 inches, but Kuo speculated that CGS could be used on all iPhones starting in 2019, effectively killing off the control option. Though not inconceivable, it is unlikely that Apple would scrap 3D Touch at this point. It's so fundamentally interwoven with iOS and some third-party apps that many users likely depend on it. One possibility is that the thin-film sensor will be used in some sort of replacement for 3D Touch, though how that might work is unknown. The 6.1-inch iPhone is otherwise expected to use Face ID and an edge-to-edge display like its OLED-based counterparts. Kuo has previously suggested that the phone could cost as little as $550, despite the 4.7-inch iPhone 8 currently selling for $699. The analyst's forecast calls for the product to make up 65 to 75 percent of Apple's iPhone shipments this year, given the appeal of its price and minimal sacrifices to get there.